It’s easy to construct with Södra Wood. Light, versatile, sustainable, and durable, wood can be pre-cut and easily put together with less manpower and minimal debris left behind for a streamlined construction process. You need consistent quality and reliable supply. The cold Swedish climate and subsequent slow growing of the tees creates stability and strength. 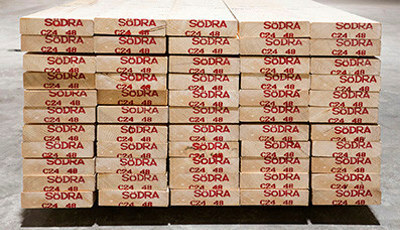 Södra Wood's spruce, for instance, can grow up to 120 years before harvesting. It's this slow-growth that guarantees you distinctive durability and a premium finish. 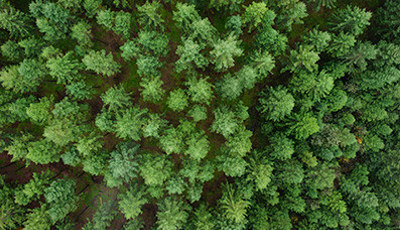 At Södra Wood, we’re fortunate to own and manage our own supply of timber and are currently the only supplier that’s part of a fully integrated supply chain. It’s a distinct advantage that helps us ensure consistency of timber quality and supply for our customers, regardless of fluctuations in the global market. 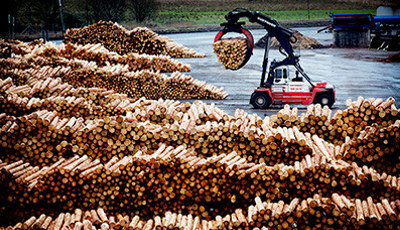 All Södra Wood softwood is sustainable and naturally slow-grown, ensuring consistency of quality and durability. It’s available in a variety of sections and convenient working lengths. We offer a full range of engineered wood products that combine to form a cohesive system offer for floor, wall and roof applications. Södra Wood carries a wide range of PEFC-certified standard and system-based glulam sizes with just-in-time delivery. In addition to landed glulam stock sizes, other dimensions and grades are also available to order. Interested in building with our timber? Our team of timber experts are there to help you in choosing the right timber for your projects. Whatever your needs, we're here to help. Södra products and support are just a call or click away.